Delilah Brachman just died and now she has six days to dodge her fate or she’ll perish for all-time. She’s become an “In-Betweener,” someone whose judgment has yet to be decided, and she’s drawn a ticket for the Tuesday Train, the most damning ticket of all. She struggles against the demon Noc, whose cunning mind masks a childlike loneliness it will do anything to quell, and against Honest Jack, an idealist tyrant who uses torture to get his way. Meanwhile, she begins to care for a man that her real life never prepared her for. Will she overcome the demons in her past, or will the life she led condemn her for all-time? Brachman’s Underworld is an epic life-after-death tale that examines the powers of judgment, and asks the question: can there be personal growth without true enlightenment, or are the two inexorably linked? 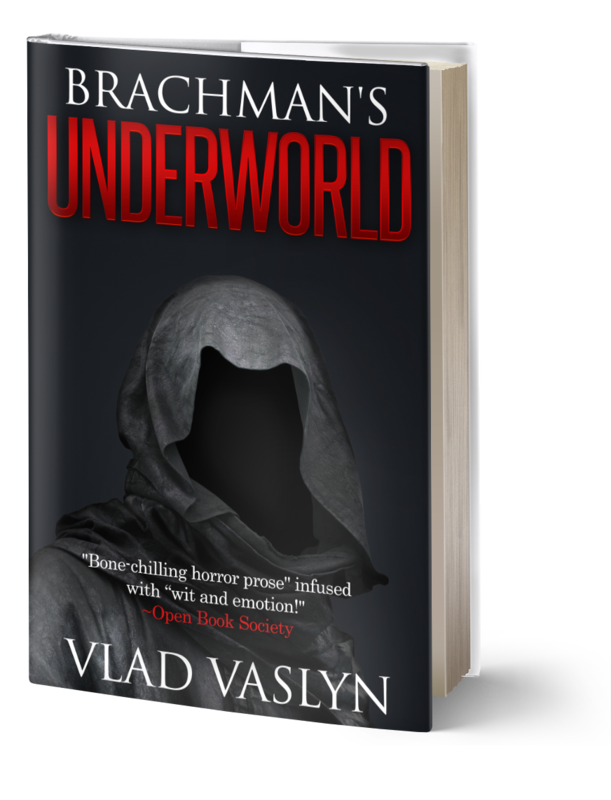 Fast-paced, deeply psychological, and rich with literary nuance, critics have called Brachman’s Underworld the lovechild of Beetlejuice and Stephen King. “This is definitely a book not to be missed!” ~San Francisco Book Review. “Vividly told with suspense enough to satisfy me for a couple of years! A great read!” ~Jacquelyn Malone – Author of All Waters Run to Lethe.